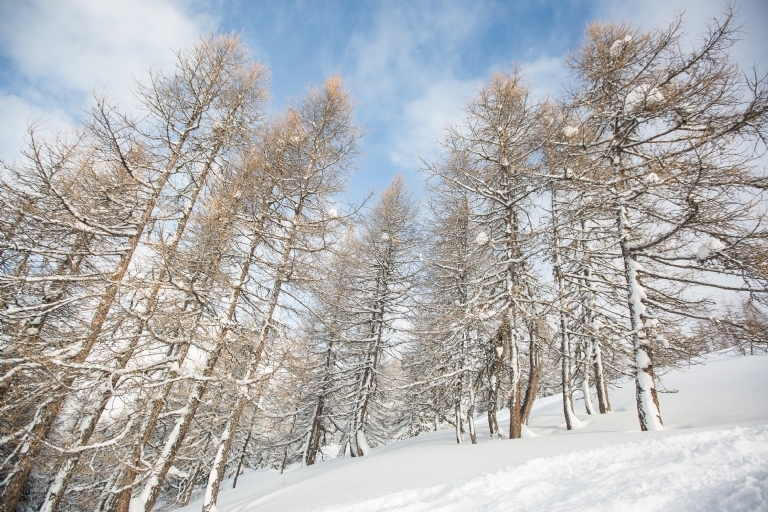 Skiing and snowboarding are great ways to get an adrenaline rush, particularly on one of our cheap ski holidays in France. However, some ingenious (or insane) adrenaline junkies have come up with some wild and wicked winter sporting activities. You might have never heard of some of these sports, while others have even been events in the Winter Olympic Games! So, if you’re looking for some awesome new activities to try out on your next winter break, check out our top five crazy snow sports. If you try any of these out, make sure to leave us a comment on social media and get in touch! 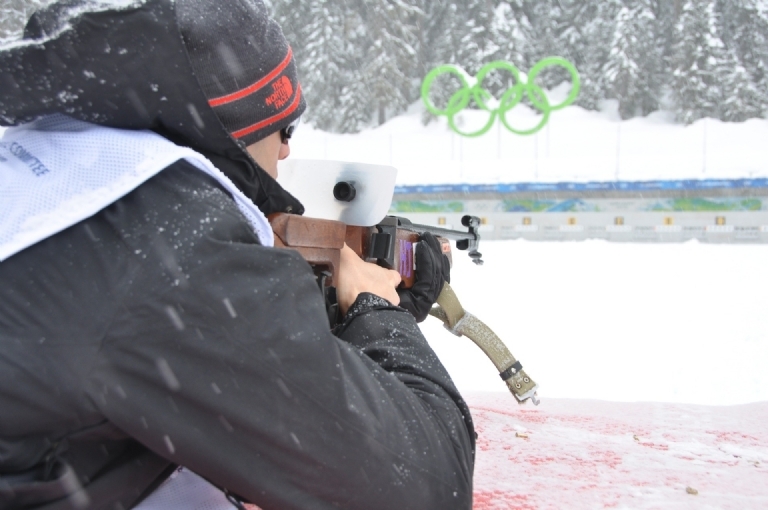 The biathlon is a combination of two slightly different sports – cross-country skiing and rifle shooting! The sport grew out of survivalist traditions in Scandinavian countries and an older team winter sport called military patrol, but became an Olympic sport in the twentieth century. In a biathlon, one races on a cross-country skiing course with shooting rounds punctuating the track, half the shots taken while standing and the other half while prone. The goal is to complete the course as quickly as possible. Typically, one is punished for missing the target by being made to ski further or adding a minute to a skier’s time. If you want a fun activity that combines dexterity with stamina, then practising for biathlons might be the crazy snow sport for you! Speed Skiing is the exhilarating sport of going downhill in a straight line and trying to reach as high a maximum speed as possible over a fixed amount of slope. The competition itself dates from 1898, where the American skier Tommy Todd reported going a whopping 140 kilometres an hour. Since then, however, skiers trying to break records regularly go well over 200 km/hr! Speed Skiing was a demonstration sport at the Albertville 1992 Winter Olympics at the Vallandry Les Arcs speed skiing course. 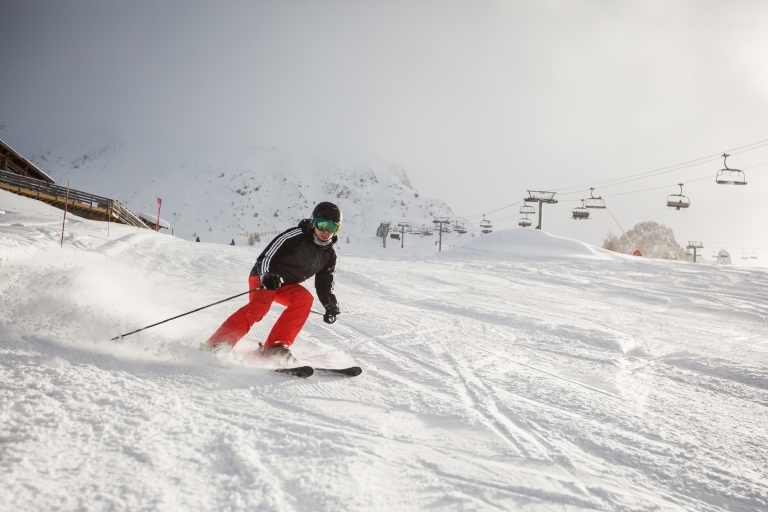 We offer great Les Arcs ski deals if you’re looking to give speed skiing a try! 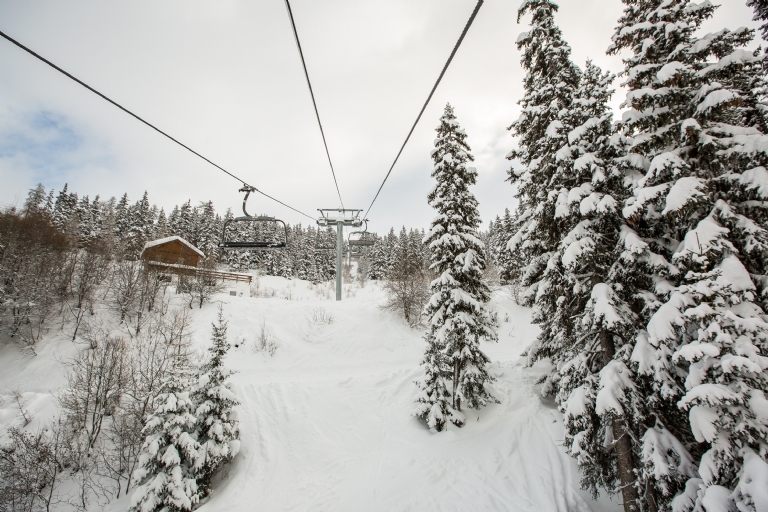 Courses, including at Les Arcs, are higher than average slopes to reduce air resistance and make it easier to achieve max speed. FIS speed skiing races are typically chosen at lower heights to make it harder to go over 200km/hr for health and safety reasons, while in pro races there is no maximum speed limit apart from what conditions and safety allow. The current world records were set in 2016 by Ivan Origone (255km/hr) for men’s speed skiing and Valentina Greggio (247km/hr) for women’s skiing, both Italians. This is a daring sport most people don’t know exists. 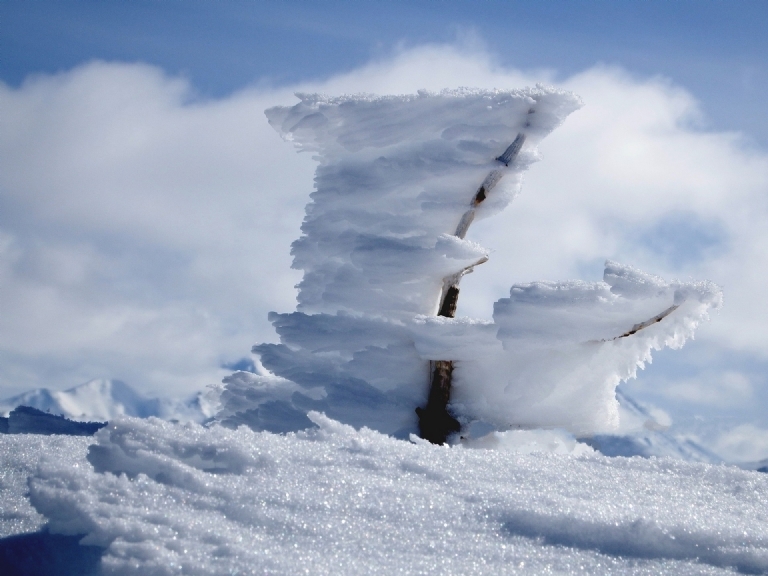 Ice sailing, also known as ice yachting, involves sailing specially designed ice yachts which glide along the ice to compete in races with other brave sailors. The sailboats work thanks to giant blades underneath the hull, cutting through the frozen water at speeds of up to 100km/hr. It is tough even to find conditions to compete in ice sailing. You need a large flat body of water to have completely frozen over and it must be thick enough to handle the weight of your boat. In competitions, half of the fleet will start on one side of the lake, half on the other, and all ships are required to complete three laps of a pre-designated course. The sport demands bravery, creativity and skill to succeed and is impressive both to watch and participate in. In skijoring, competitors take on jumps four to six feet high while being pulled by a horse galloping at top speed on a snowy road. As they go, racers have to grab a series of rings between jumps placed outside of the course. Combine the natural risks of skiing with the danger of jumps and being constantly ushered on by a horse running at top speed the entire way, and you can see why only the bravest souls attempt this crazy sport! Skijor races are becoming more and more commonplace, held in many countries where there is snow around winter time. Most competitive races are anywhere between five and 20 kilometres long. Equestrian skijoring has taken off in recent years, and in 2012 Skijor International was set up by Loren Zhimanskova to grow the sport even further. A freestyle skiing competition, mogul skiing involves navigating steep, bumpy, hard snow over 200 to 270 metres. Such skiing emphasises technical turns, aerial manoeuvres and speed, and one earns points for each of these unlike other skiing competitions focused solely on speed. You earn 50% of your score for aggressive, controlled turning, 25% for the form and difficulty of jumps, and 25% for matching pace speed. Internationally, the sport is contested at both the Freestyle World Ski Championships and at the Winter Olympic Games. Currently, Mikaël Kingsbury is the undisputed best mogul skier of all time and the seven-time reigning FIS Freestyle World Cup title-holder for mogul skiing. If you’ve been inspired and are now looking for a cheap ski holiday to try out one of these amazing sports, why not take a look online at some of the awesome deals we have on offer today! Starting from £149 for three nights per person, we at Hucksters have over 30 years’ experience of providing great holidays for those looking to get out on the snow.